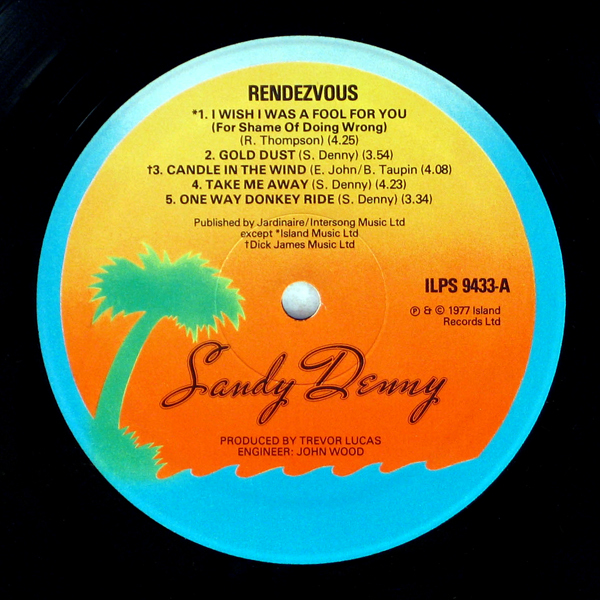 For the first time in years Sandy recorded portions of Rendezvous live, including an extraordinary session at Basing Street on April 25th where ‘Full Moon’, ‘No More Sad Refrains’ and ‘I’m a Dreamer’ were cut live with the band and strings in a single day. The majority of the album was recorded in the two weeks between 23rd of April and 7th June at Basing Street and Island Studios; further sessions from the 9th to the 18th of June were largley devoted to extensive mixing and overdubs. The exception being ‘Still Waters Run Deep’ and ‘Silver Threads and Golden Needles’. A selection of cover versions were recorded for the album but discarded including ‘Losing Game’ by the Flying Burrito Brothers and Lowell George’s ‘Easy to Slip’. Several Denny originals were also recorded and not used, including ‘Full Moon’, ‘By the Time It Gets Dark’ and ‘Still Waters Run Deep’. The album originally entitled Gold Dust was finished by July and due to come out in October 1976, but Island repeatedly delayed the release and it finally came out in May 1977 with new artwork, when Sandy was pregnant and unable to undertake a promotional tour. 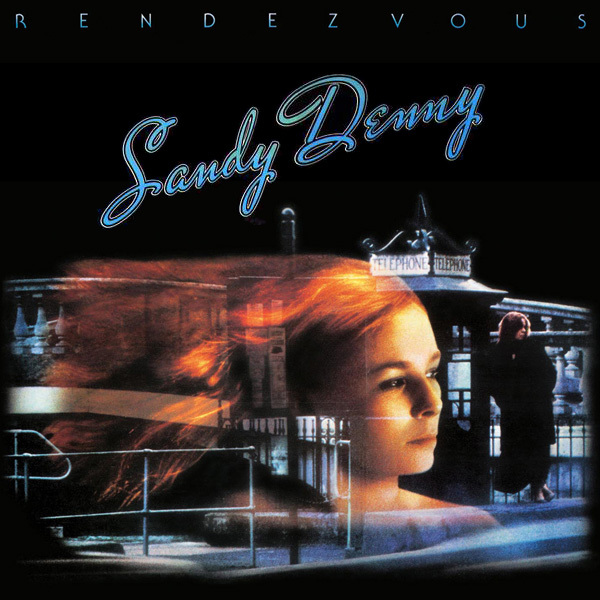 During this delay Sandy returned to the studio to record a cover version of Elton John’s ‘Candle in the Wind’, which was added to the album in place of her own composition ‘Still Waters Run Deep’. 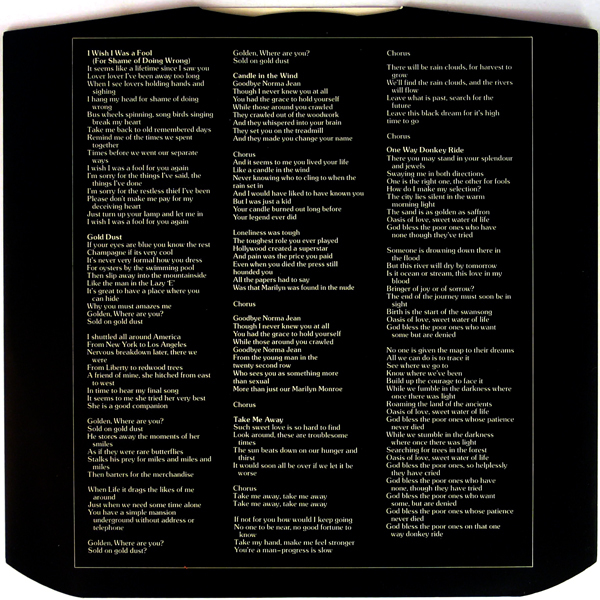 Both tracks were later released on a 7″ single. 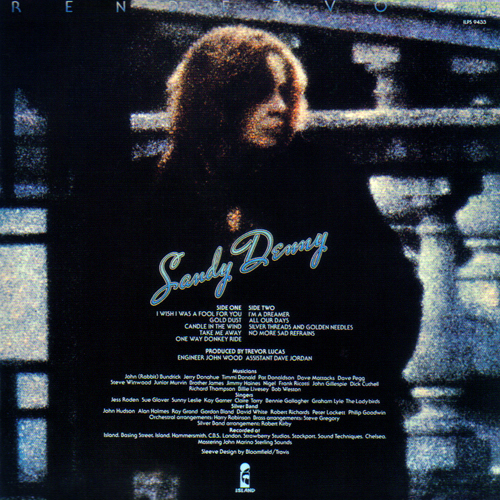 One last session took place days before the album’s release to record Bryn Haworth’s ‘Moments’, (intended as a B-side to a proposed 7″ of ‘I’m a Dreamer’) which ended up being Sandy’s final studio recording.